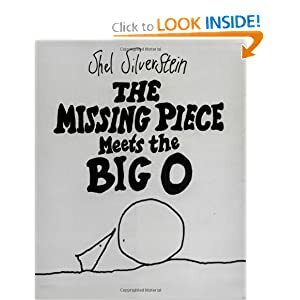 In preparation for an upcoming term paper and then a presentation, I have been thinking a lot about The Missing Piece Meets the Big O by Shel Silverstein. Like The Giving Tree, the themes are so much more adult than we realize in our tiny minds. The values inherent in Silverstein’s do transfer to us as children, but have also given me cause for professional reflection over the past few weeks. I grew up both hardcover books as a kid myself. 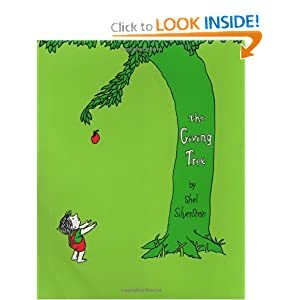 The Giving Tree invites me to think a lot more about the individual connections whereas The Missing Piece has prompted me to think about some more organizational issues that we face in education — how the many figures across an educational career help to shape a student for the real world. How many “ones” does it take to make an impact on a child? How many times does a missing piece get passed up in his/her lifetime? What if the missing piece was evaluated on his skills rather than on his appearance? What’s the “standard” for missing pieces? ← Previous Previous post: Where’s the literature on edtech leadership?